Happy Friday! It has been a very very long week for me lol. Last night I was out till 2am celebrating the return of my sorority on campus. I did makeup for eight lovely ladies and i'll try to post pics soon! 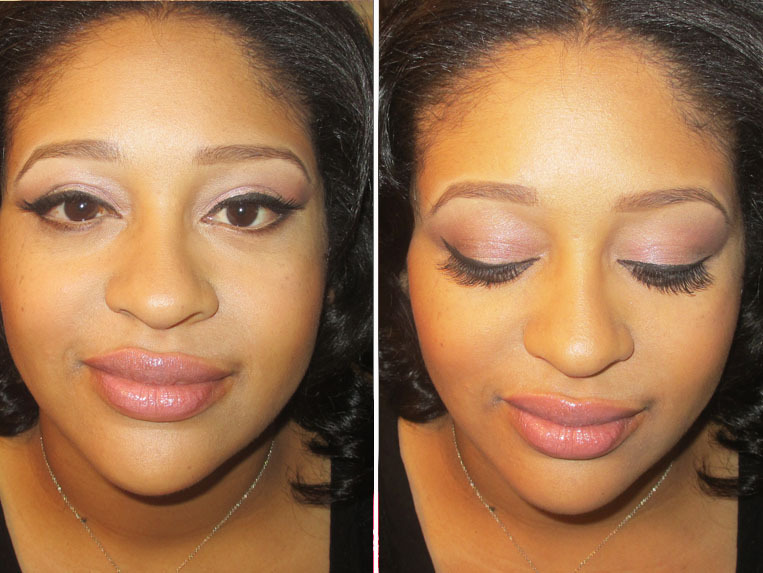 Meanwhile, I have a shot of makeup I did for a maternity shoot last week. The client also wore glasses so i'll give you some tips on how to make makeup pop when you're wearing eyegear. Check it out! I was doing makeup for a maternity shoot so I wanted to keep it pretty natural. She was wearing casual clothes like jeans and a black tee so we went for fresh, nice skin with just a little bit of color and some emphasis on the eyes. I went for pretty pinks because it's always soft and flattering. 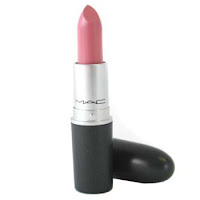 In particular, I used MAC Girlie on the lid for a subtle pop of color. On the lips, I paired MAC Beurre lip liner with MAC Angel lipstick. I went for a dark black winged liner because the eyeshadow was pretty light and the liner really helped defined her eyes even while she was wearing her eye glasses. I also went for a shorter pair of falsies so that they wouldn't hit her lenses. I'll post final pics from the shoot soon. I hope you all have a wonderful weekend. Ciao Bellas! Love the post! Thanks for the short lash tips for beauties wearing glasses. I've been wearing glasses for the last 3 weeks now and trying different eye looks to make my eyes pop.